There is a midwife run antenatal clinic at the surgery. 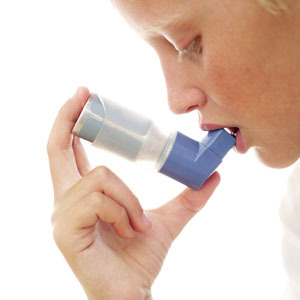 These services are provided by nursing staff and provide both diagnostic and monitoring services including inhaler technique, spirometry, peak flow monitoring, medication changes. These are run by the nurses these clinics provide monitoring, support, education and treatment for those with established heart disease. They also provide primary prevention, in terms of risk assessment (including blood pressure monitoring and cholesterol measurement), education and treatment if necessary. These services are provided in conjunction with the Health Visitors, we provide routine childhood immunisations and assessment of the under 5's. The clinic is run Wednesday afternoons 2pm to 3.30pm. Please make an appointment to attend this clinic. Appointments can be made through reception. This service is provided at the surgery after self referral to Shropshire Psychological Therapies. All methods of contraception are available including IUCDs, Depo Provera and Implants. There is a self referral system for this, please ask at reception. These can cover most aspects of diabetes both initial diagnosis and ongoing management and can include; dietary advice, general diabetes education, bm monitoring (technique and equipment), blood pressure monitoring, lipids measurement, medication, insulin start up. We have a visiting diabetic specialist nurse who helps us provide this service. These are what used to be referred to as 'well person assessments'. We are happy for you to make appointment when you are well to try and address issues that will help you stay well. This service provides a link between us and secondary mental health services they are available at the surgery weekly for appointments. This service is provided at the surgery following referral from a doctor, this is operated through the telephone triage system run through Shropshire Doctors on 01743 454912. This service is available following a referral from your Doctor. We are able to help if you would like to stop smoking and can provide support, advice and medication to assist you. This clinic is run through the local Community Substance Misuse Team who provide a support worker to help with this service. The nurses run a leg ulcer clinic using the services of a specialist sister from Princess Royal Hospital, Telford.